Smile-A-Mile has changed my life forever. I have been going to camp for 16 years now, and Smile-A-Mile has impacted me for the good in so many ways. My favorite part about SAM is my camp family. From the best directors to the sweetest counselors, SAM has the best supporters and volunteers of all time. I’ve made lifelong friends and relationships that I would not be the same without. I love the activities at camp such as inner tubing, riding the banana, arts and crafts, the shaving cream fight, paddle boarding, the dance, eating oreo surprise, and the color war. 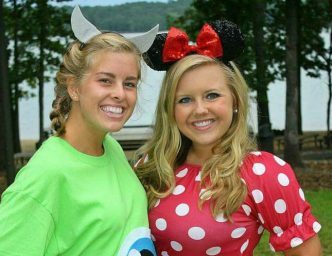 Smile-A-Mile has provided me with opportunities of a lifetime, lifelong friendships, and the greatest memories of my life. I love SAM!